It’s definitely nice to actually get a project moving. I’ve uploaded the initial draft of Halo: The Covenant War, the aforementioned Fudge-powered RPG adaptation of Bungie’s Halo video games. It’s completely untested, but them’s the breaks. Any comments would be appreciated. New versions and new matieral will follow paytesting. 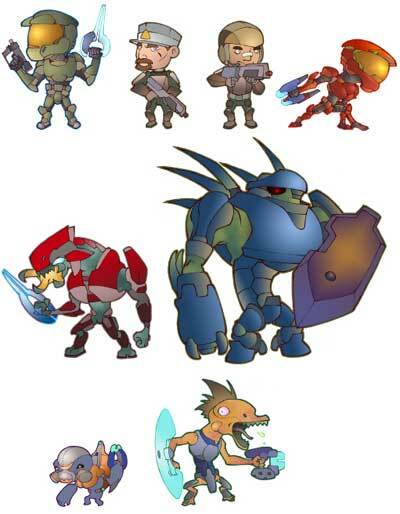 Up next is an adventure scenario for Halo, then Thrash 2.0 (fighting game RPG), and then Tokyo Heroes (sentai RPG), and I have entirely too many ideas for what’ll come after that. Plus a 24-hour RPG mixed in there somewhere.